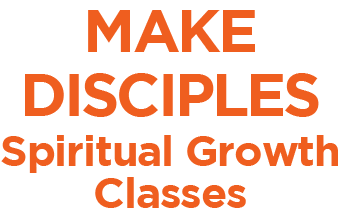 Our Spiritual Growth Classes help you to grow by teaching you God's Word and equipping you to share hat you learn with others. Learn about the other steps of the Discipleship Path here. Spiritual Growth Class 101 uncovers the foundation of Christianity. Classes include: Who is God, Faith, Prayer, How to Study the Bible and More. Is this your first time taking a Spiritual Growth Class? If yes, Please register for 101. Spiritual Growth Class 201 uncovers your identity in Christ and how God uniquely wired you. Classes Include: Who You Are in Christ, What You Have in Christ and more. Have you completed 101? Then please register for 201. Tuesday Evening classes meet from 7:00 PM-8:30 PM. Saturday Morning classes meet from 9:00 AM-10:30 AM.